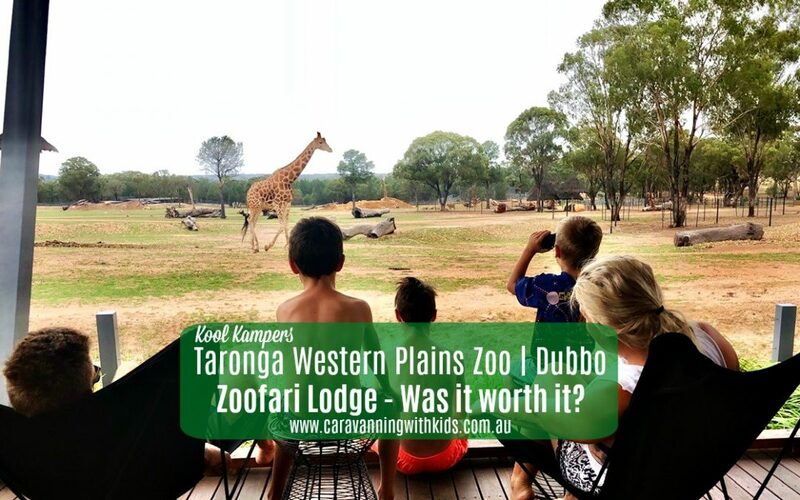 I’m happy to share that the entire family enjoyed themselves at our Zoofari Lodge experience…. Even Wayne -despite numerous attempts to have me reconsider because of the cost for our family of 5! We arrived at the zoo at around lunch time, as not really knowing what to expect we assumed we had two full days to explore the zoo. This is not exactly the case when you are booked for a Zoofari Lodge stay. They have quite a full schedule laid out for you – but you do have ample time to check out the animals between the two day pass. 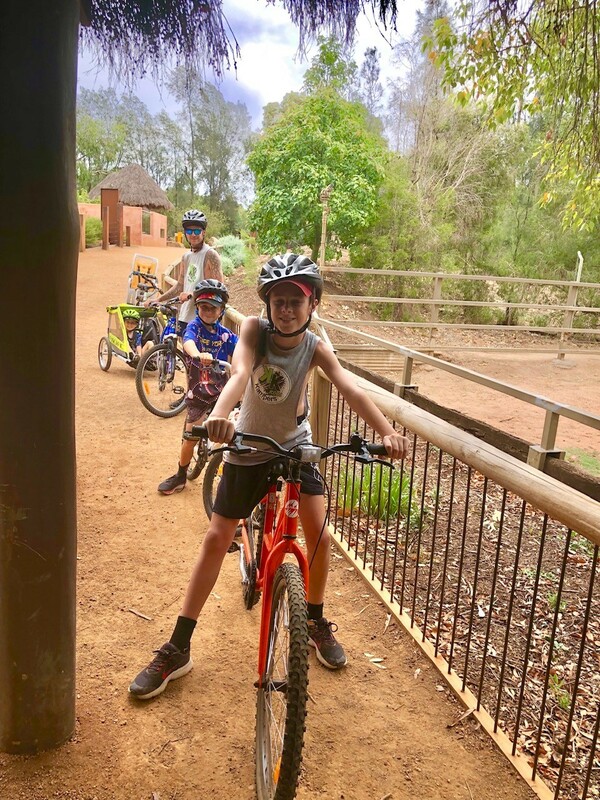 Our tip would be to get there as early as possible, particularly if you have young kids, and even more so if you plan on utilising the free bike hire in your package cost (rather than upgrading to a safari cart). Pedal power is definitely slower going! We were given a quick induction on arrival to the zoo, and directed to make our way to the Zoofari lodge check in by 2pm. Jenny at reception was adamant we couldn’t possibly ride through the entire park in the 2hrs we had. It was already midday so we made a beeline to the bike hire to choose our mode of transport. There were mountain bikes, box bikes, bikes with training wheels, bikes with baby carriers and bikes with the cart attached at the back. Unsure which bike would be easiest for our 4yr old to hitch a ride in we grabbed one of both the child carrier seat and one with attached cart. There are a heap of different animals throughout the park and with the fences mostly hidden, gives it a definite ‘African Safari’ feel.. as if you’re just in amongst all the animals. We were a bit late to catch many of the animal talks at specific enclosures on day one – but took note of the talk times for the next day. Around at the Zoofari Lodge check in we were greeted by the ever humorous and friendly Maddi- who allowed us to park our caravan up close to the lounge/bistro area in case we needed anything from there during our stay, and showed us to our ‘Animal View Lodge’. 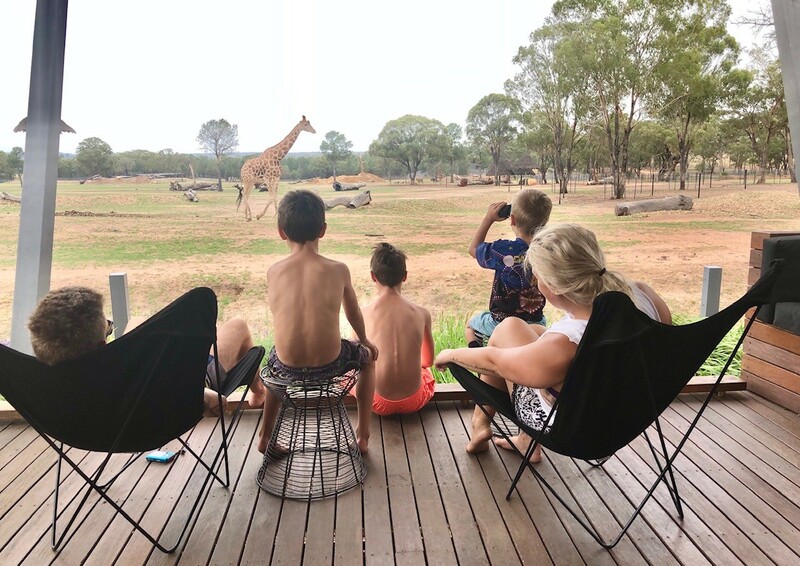 The kids were absolutely awe-struck as we descended on our lodge and saw rhinos giraffes ostriches zebras and other animals feeding literally 20m from our balcony! We found the room to be very comfortable for our family of 5 (even though recommended sleeping capacity is 4) with a huge master bed and pull out couch, the 5 of us were comfortable and our 12 year old slept on the large sofa cushions on the floor…. and enjoyed the separation from his younger brothers! We used the air conditioning and mosquito net around the bed (reminded us of the movie ‘Blended’ with Drew Barrymore and Adam Sandler!) And the luxurious bathroom completed our lodge – a huge bath and double shower…. and Yesssss!! Awesome shower pressure after mostly bucket bathing in the van (to save water). 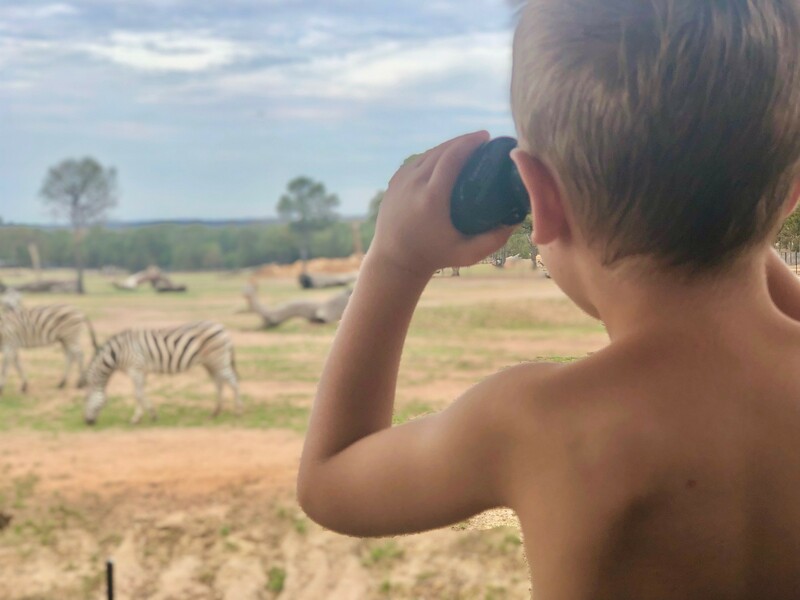 We spent a lot of time passing the provided binoculars around to watch the animals from our deck. Without giving too much away, you get canapés, wine tasting and ‘happy hour’ (with a lounge area and pool for the kids to play in) before a delicious ‘African style’ buffet dinner. A behind the scenes night tour of some of the animal enclosures is scheduled before you turn in the for the night (TIP: We recommend putting on some mozzie repellent if you do the night tour – as some of us did start to get attacked a little after the sun went down). A highlight during the night tour for us was seeing a possum impose on one of the hippopotamus’ enclosures, and the hippo displaying it’s territorial behaviour of whipping it’s tail back and forth spraying urine and faeces metres behind it – directed at the possum! Even our guide said she’d only seen that twice before in her time at the zoo! We made sure we woke early on day 2. Partly because we had to be up for our morning feeding/bathing tour of the elephants and other animals, but mostly because we wanted to watch the sun come up from the deck of our lodge and view the animals’ morning routines! Our morning tour guide Felicia was super knowledgeable and was more than happy to answer everyone’s questions about the animals. We all learned so much from the zookeepers, it was super educational for adults and children alike and it was fantastic to feel their passion on those behind-the-scenes tours. 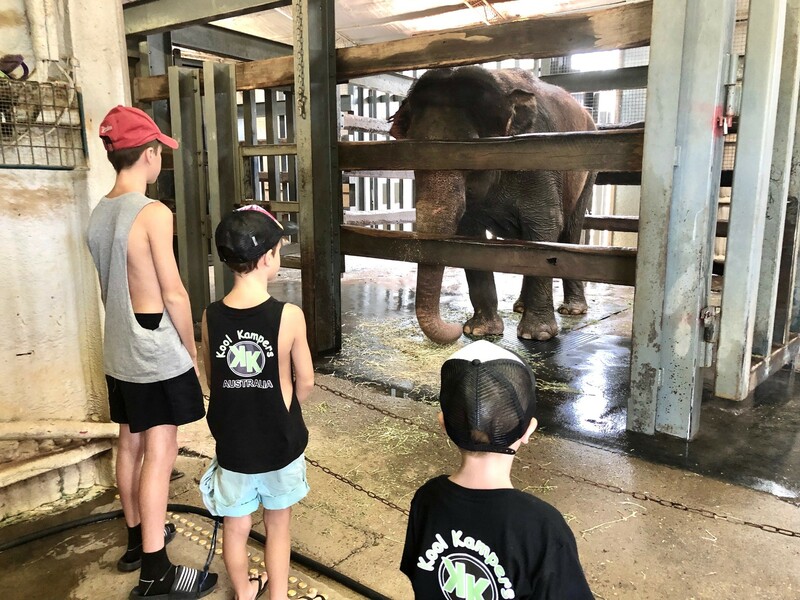 All in all, we had an incredible ZOOFARI experience, and will remember our two days spent at the Taronga Western Plains Zoo in Dubbo for years to come. How much does it cost? 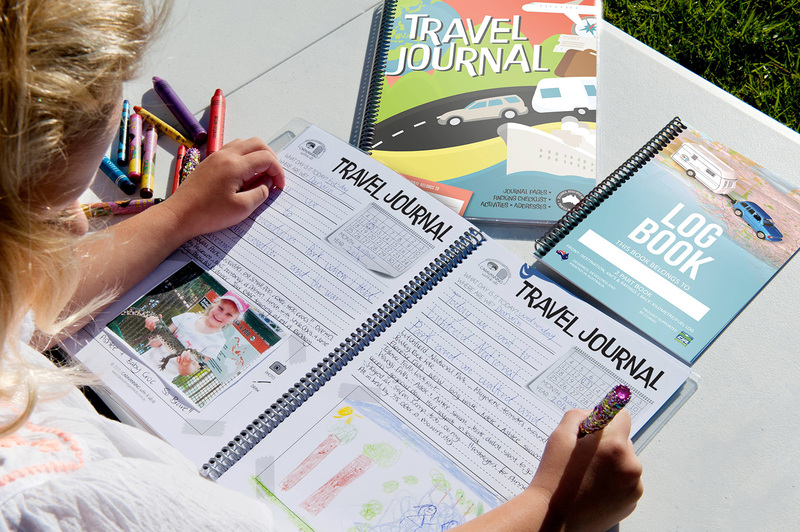 Yes, it is a fairly large lump sum cost – just over $1100 for our family of 5. 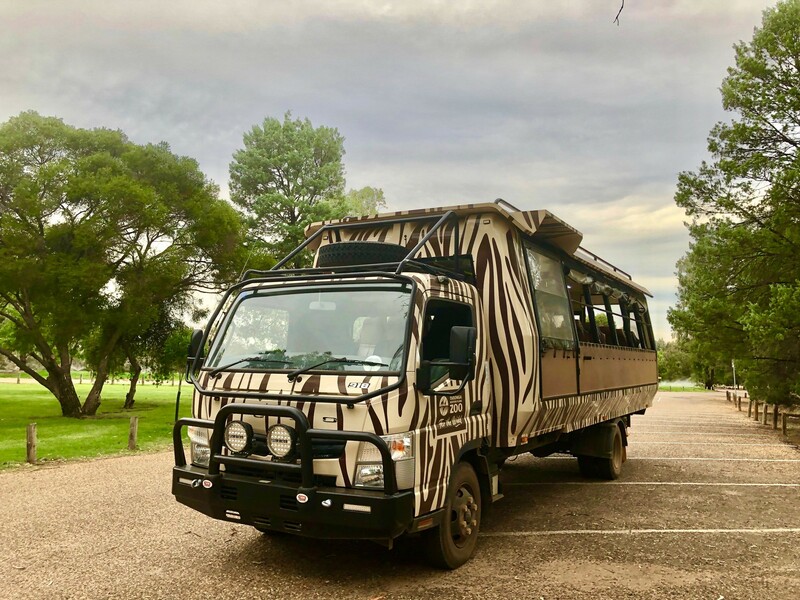 When you break down the inclusions – 2 day zoo entry; bike hire; canapés; wine tasting; African style buffet dinner; exclusive behind the scenes evening and morning tours with the zookeepers and full buffet breakfast -on top of the luxurious accommodation – we definitely see the value and highly recommend the experience for other families passing through Dubbo! 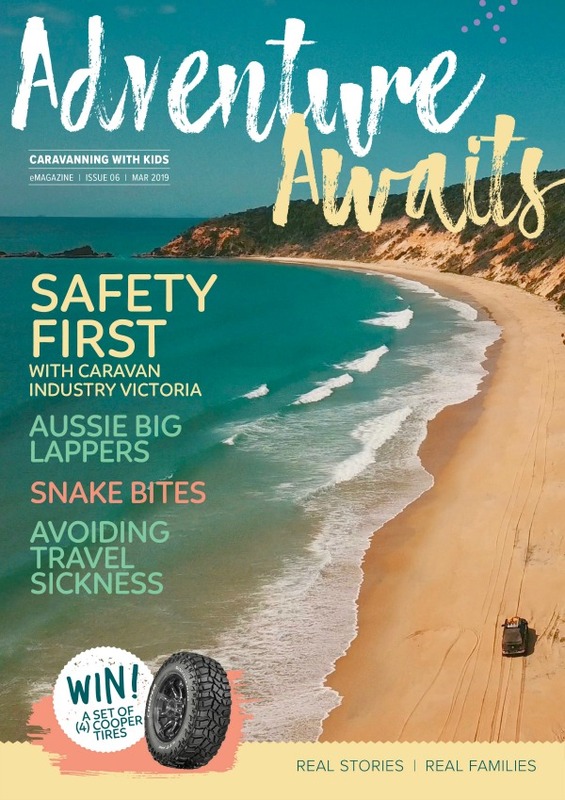 THANK YOU Katie & Wayne – sounds like it was an amazing experience and we loved that you kept a few things secret so we will all have to find out about it when we get there…. You can follow Kool Kampers on Facebook, Instagram and some funny videos on YouTube.